We don’t adhere to a one-stripe-fits-all philosophy, and you don’t have to either. So go ahead and adapt your notion of the classic striped shirt this summer. We’ve got subtle stripes to bold stripes, stripes with solid piecing, clusters of stripes, multi-colored stripes, alternating big and small strips. Even asymmetrical stripes. So if you think a stripe is a stripe is a stripe, you haven’t seen our stripes. These colors speak of beach glass and dune grass, but are just as at-home on the golf course or anywhere else your summer days take you. 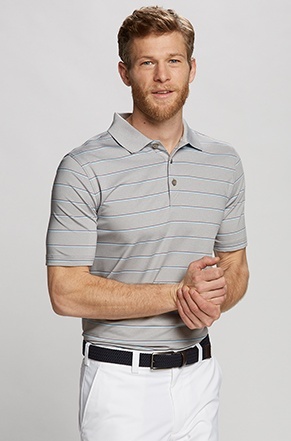 A new take on a basic striped polo. Brighten your day with vibrant hues, and an extra pop of color with the solid collar. 50+UPF helps your own color stay tame. 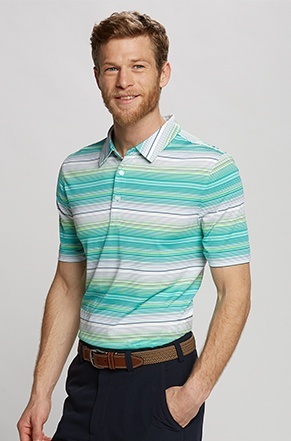 Add a little zing to your polo collection with the Friday Harbor: thin, two-color stripes make this make this a unique addition. 50+UPF and moisture-wicking fabric. Go bold with thick stripes and vibrant hues. 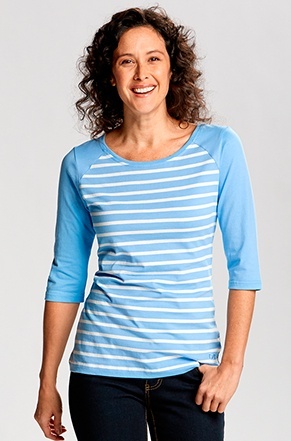 Scoop neck and solid three-quarter sleeves highlight the striped body of this 100% cotton shirt. Go for the gold in this true winner. 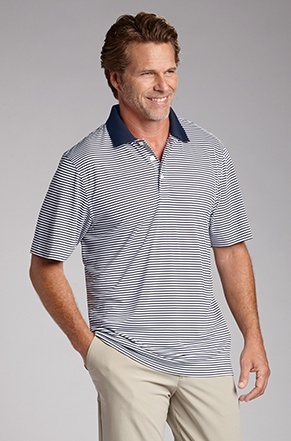 This moisture-wicking, 50+UPF polo with metallic detailing might just be your lucky charm on the course this summer. You’ve never seen stripes like this! 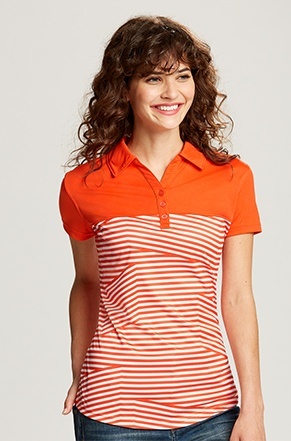 Asymmetrical sections shape the waist on this sleek, lightweight polo. 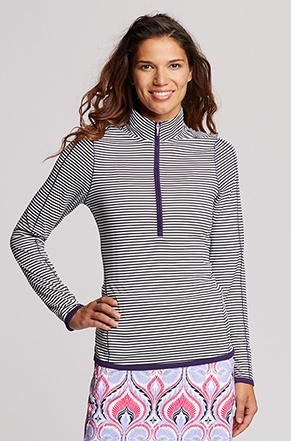 This pullover will quickly become one of your favorite layering pieces. Striking black and white stripes get a touch of the color of your choice: contrast stitching down the arms match the cuff, hem, and zipper accents. 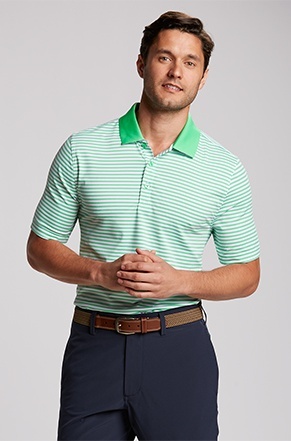 Warm weather comfort defines this ultra-lightweight, classic polo that prompted one customer to write, “I couldn’t be happier.” Oodles of color combinations to choose from - look for your favorite team’s colors and wear this to the next ballgame. 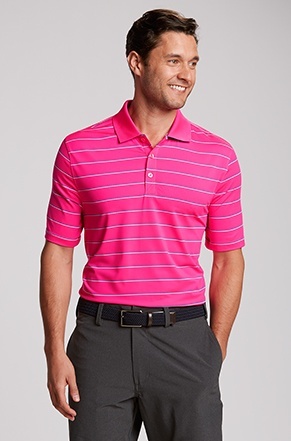 The Everett doubles up on its microstripes for a sharp take on the standard polo. 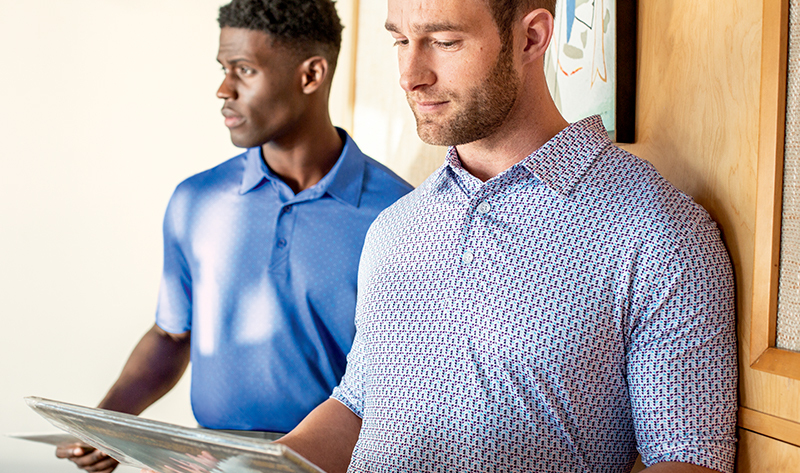 Great for the office, or to beat the heat outdoors with moisture wicking and sun-protective fabric of 50+UPF.